August 21 is National Senior Citizens Day, so show your appreciation! 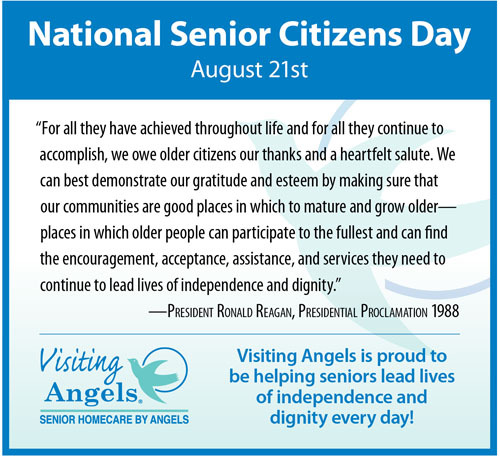 Since 1988, August 21 has been declared as National Senior Citizens Day by President Ronald Reagan. It is a day set aside to show our appreciation to the older people in our lives. Send a card, call them up, send an email or a text, visit them, go shopping with them, take them to a park, museum, movie, or a Broadway show. Whatever you do, let them know how much you appreciate them!